Early last year I reviewed 9 Clues: The Secret of Serpent Creek for the iPad, enjoying the game so much I achieved nearly all of the achievements and gushed over the puzzles, story, and overall flow. Now G5 and Artifex Mundi are back with 9 Clues 2: The Ward, and it is better than the original game in every way! 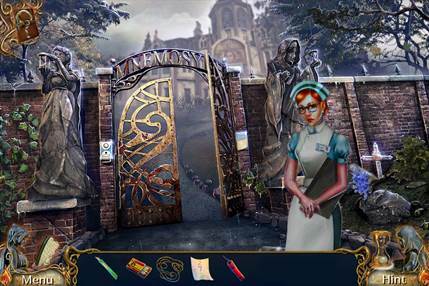 9 Clues 2: The Ward is another excellent hidden object puzzle adventure game from G5 and Artifex Mundi, featuring an interesting story that starts off with you and your partner arriving at an asylum based on a mysterious call that the director says was never made. Then you witness the death of one of the doctors – and as you inspect his body and office it is clear that there is much more going on! As you proceed through the game you will constantly be engaged by the characters and the plot twists throughout the story. The game took me several hours to finish, with plenty of challenges and things to explore. 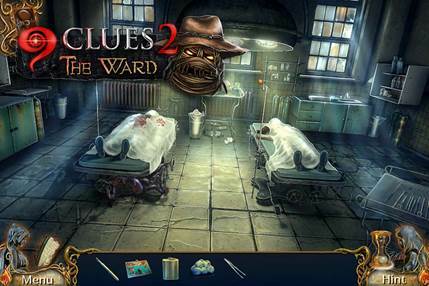 To work through the story of 9 Clues 2: The Ward you need to follow a trail of clues – this involves moving from place to place, searching for items, doing hidden object scenes, completing puzzles, combining items, and pretty much every standard genre puzzle type. But for me one of the best things was that none of it felt like filler – you were constantly doing things to advance the plot and find more clues. One thing that is different, in ‘scene of the crime’ areas you need to see what happened, and to do this you are tasked with finding the hidden clues, then piecing together the timeline to review. It is a fun and different game mechanic and made you feel more involved with the solution. Ease of use/Overall performance: One thing I like about this games is that while it does nothing that is really new, it does everything REALLY well. The graphics look great, touchscreen controls are precise and responsive, puzzles are well thought out and never feel like time-wasters, and so on. As I mentioned at the beginning, I felt like everything was improved from the original – a game I loved. The story is better and more intriguing, the game is longer with more rich and varied content, the puzzles feel perfectly balanced, and the graphics are sharper and more detailed. 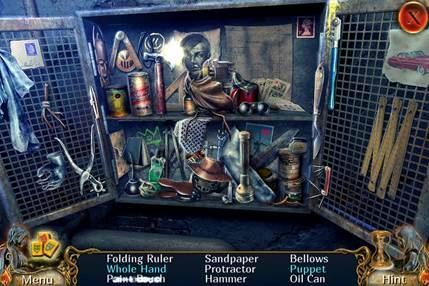 It makes for the best hidden object game experience so far this year! Would use again/recommend? : Absolutely! I enjoyed the story as well as the puzzles – and once again found myself chasing achievements throughout the game, and while I came up short, this is a game I know I will revisit because of the unique way it does things. Suggested changes/wish list for updates: Nothing.